Latex Neon Animal Print Balloons. Create a wild jungle or zoo party theme with these animal print safari balloons! 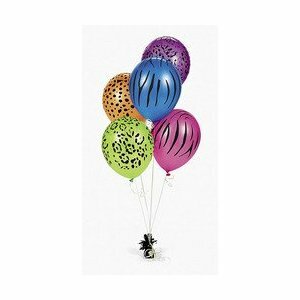 Perfect for decorating at a birthday bash, these colorful balloons feature leopard, zebra and cheetah prints.